many are refereed or peer-reviewed. For more information and additional characteristics, see Types of Periodicals. the language used reflects the technical vocabulary of the discipline (i.e., jargon). A libguide that gives examples of the variety of periodical publications you will find: Scholarly, Trade, Newspapers and more. 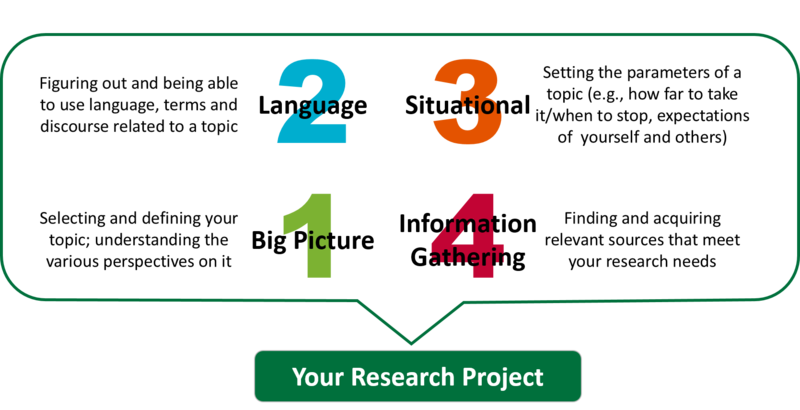 A chart that gives you tips on how to recognize a scholarly journal article. The diagram below shows you that writing a paper is not a simple linear process. There are various aspects that will affect what you look for and what you find. Half way through doing your paper, you might find something that really changes your perspective on the topic and how you want to write about it. So make sure you give yourself enough time for this.